Support future generations of pilots, young people yearning to fly, through the award of Aviation Scholarships annually. The Captain Jason Dahl Scholarship Fund is a IRS qualified 501(c)3 Non-Profit Corporation. The Captain Jason Dahl Scholarship Fund was established the day after the national tragedy, and grew to a respectable sum within the first few months, thanks to the outpouring of support from family, friends, and other generous Americans. That outpouring continues to this day, as fundraising activities and charitable organizations demonstate with generous contributions. Join us in achieving our donation goals! Since 2002, 141 scholarships have been awarded. "The Captain Jason Dahl fund helped me get the finances and recognition to excel in my aviation career. Since receiving the scholarship, I have flown as an instructor, in corporate aviation, and as a Captain in the regional airlines. It recently helped me land my dream job as a pilot for Delta Air Lines. I’m excited to take what I’ve earned and learned and turn it back to the next aspiring aviator someday. Many thanks to the Jason Dahl Fund! I couldn’t have done it without people like you." "As a flight student at a large school, scholarship funds tend to be quite hard to compete for and this scholarship really played a huge role in giving me the funding to continue in school. The first scholarship I ever won was from your organization and it gave me the motivation to continue applying the following year as well to others. 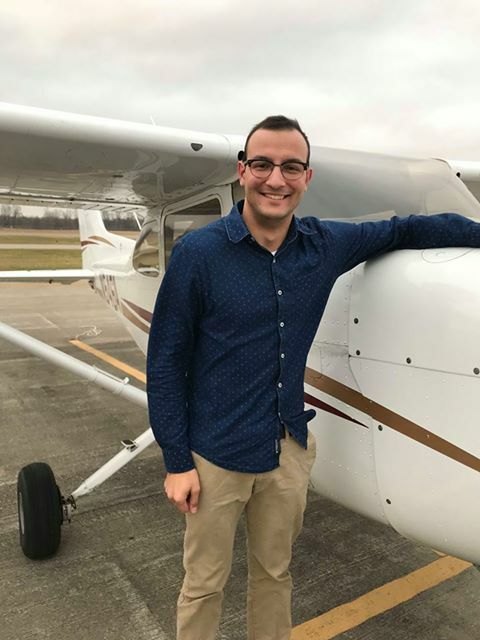 It means a lot that others care about my life story leading up to my flight training and I hope to be able to continue in this career path to someday be able to also give back to others."